Name: Paint & Wine Time! 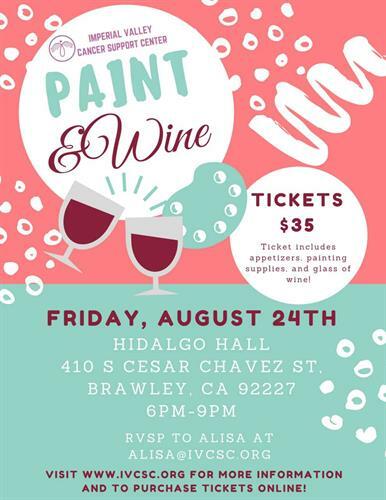 We can't get enough of having you at our Paint & Wine event. You don't have to know how to paint but you do have to know how to have fun! All supplies are provided. We just need you! Special discounted price of $20 for anyone who donates their completed masterpiece for our September auction.Art Auction and Cocktail Party. All proceeds benefit our organization and the fight against cancer.